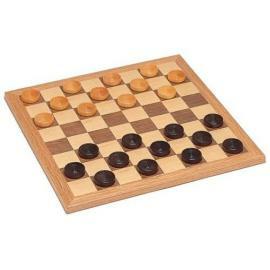 Why Does Willie Almost Always Win at Checkers? There was a checkers contest at the community center and Willie beat everyone who played against him! How did he beat every one of his friends at checkers? When asked by a group of the “Can Dos” who lost to him, Willie told them that he played checkers often. That is why he is so good at it. Well, just as he was saying that, Grandpa Dooley walked by and heard what he said. The “Can Dos” all asked him to show them the game. 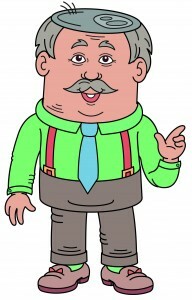 Grandpa Dooley offered to install the game on the computers at the community center if Miss Sue agreed it was okay to do. Why don’t you take a look at the game with the “Can Dos”? Why not play a game or so? Just go to the “Can Do “Club House and choose the balloon that says more games, then click on draughts and checkers. The “Can Do” Kids were about to learn what it means to make New Year’s resolutions. New Year’s Day was bitter cold out, too cold to ice skate, or to go sledding, or even take a short walk. So any “Can Do” that could catch a ride was welcome for a play date at Orrie’s house. Grandpa John stopped handing out fruit and sat down at the table with the “Can Dos.” All eyes were on him as he thought of the best way to explain what a resolution is. He cleared his throat and began by saying, “Well, resolutions are kind of like promises to do things that you need or want to do. It’s about doing things that you need to do but may not having being doing such a good job about doing so far. Maria, his sister, tossed her head and said, “Think again brother. There are a few things you need to change… like being late for school a lot and using my stuff without asking.” Hector turned red and answered, “Okay, I’ll stop taking your stuff without asking but I can’t make two resolutions, so I’ll have to wait on promising not to be late for school.” Everyone laughed. Grandpa John said, “Let’s go around the table and each of us make a resolution. I’ll start. “I promise to help Grandma Maureen around the house more.” Grandma Maureen gave Grandpa John a big smile and said,”You heard that children. You are my witnesses, he promised to help me more.” The “Can Dos” all laughed. Then it was their turns to make resolutions. Nellie promised to help Grandma Hattie with the housework. Orrie promised to turn off his computer each night the first time he was asked to do so. Willie promised to empty the trash without moaning and groaning about it. Kathy promised to share with her sister Annie more and fight less. Arthur J. promised to help his brother with his math homework when he was having a problem. 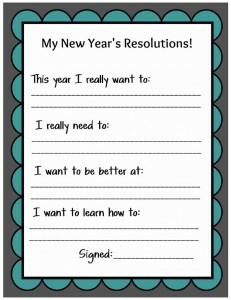 Did you make New Year’s resolutions? Are you going to make any resolutions? What do you promise to do?